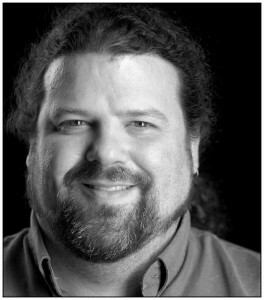 Drew Davidson is a professor, producer and player of interactive media. His background spans academic, industry and professional worlds and he is interested in stories and transformational experiences across texts, comics, games and other media. He is the Director of the Entertainment Technology Center at Carnegie Mellon University and the Founding Editor of ETC Press and its Well Played series and journal. He also served as the interim Director for Randy Pausch’s Alice Project. His professional activities are closely related to his research interests, as he has worked to help grow fields of study, creating forums and founding organizations to foster academic scholarship in new areas. He engages with academic and industry communities, leading grants, consulting for companies, institutions and organizations, and serving on advisory, editorial and review boards as well as judge and jury panels. He has supported the advancement of the academic study of games, along with the design and development of games for impact. He has also been involved in the growing academic study and creation of crossmedia communications and transmedia experiences. And he has worked on the academic study and production of creativity spaces located in public institutions like museums, libraries, science centers and schools. With his CMU colleagues, he is articulating best practices in creative development and how diversity improves innovation. He explores the art, design and science of making media that matters, working to expand our notions of what media are capable of doing, and what we are capable of doing with media. He has written and edited books, journals, articles and essays on narratives across media, serious games, analyzing gameplay, and cross-media communication.